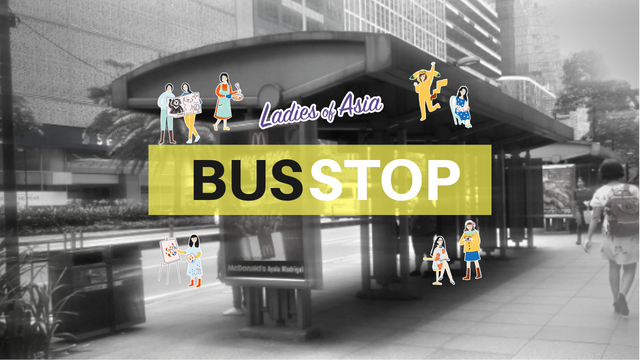 Yes, you've probably guessed it, this week @LadiesOfAsia are going to look at bus stops in Asia Pacific. This will come in handy for thrifty travellers to Asia Pacific looking to catch the public transport. What's so special about bus stops you may ask? It's just a post and a sign where buses stop. Or will we find out some other interesting facts. Let's take a look. Let's go to Hong Kong first and see what @nanosesame has to say. "These are the bus stop in Hong Kong. I took it in Fortress Hill near my work place. The one in the small photo has a top roof and the main image don't. The color of the bus stop indicates which company the bus belongs to as there are several bus companies here. Also the color and number tells the routes and service hours. There are also a simple map of the route at the stops, which is the middle posts hanging on the stops you see in the main image. Recently, the bus company provides traffic information through apps. We can check when the next bus comes and where is it now, but so far there is not common to see a screen telling updates like we see in train stations." Here's my, @livingutaiwan's report. 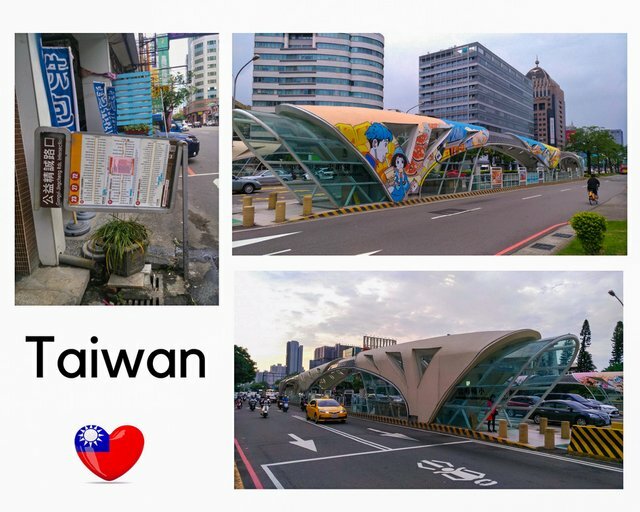 "There are two main types of bus stops in Taichung Taiwan. The one on the left are the normal ones, this bus stop was blown over 90 degrees by the typhon the other year so the sign is sideways. The other ones are the Bus Rapid Transport (BRT) bus station, a failed project started by the previous local goverment who spent about USD65m on it before the new local government pulled the plug. The BRT runs along the main road through Taichung and was supposed to relief traffic congestion but turns out it didn't work. The stations are just used by the normal bus routes now. They also have a digital board showing the time of the next bus to arrive and they're pretty accurate! And, you know the best thing about the buses in Taiching city? The first 10km are free for everyone, tourists included!!!" 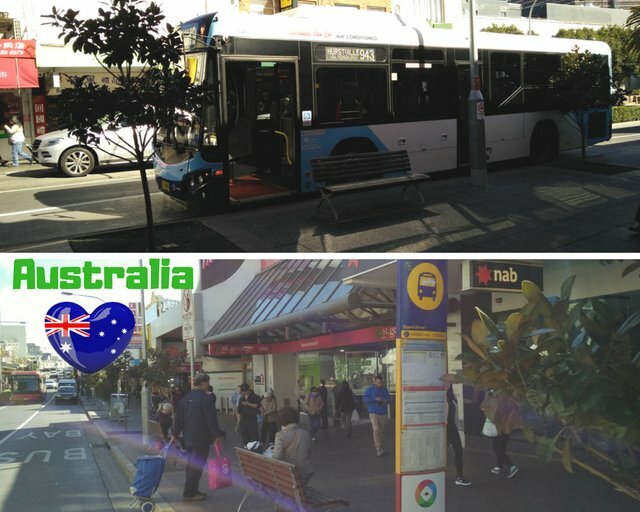 @travelgirl from Australia say, "this is a bus stop in a busy surburb with buses coming every 5 minutes or so as it is a popular stop. In this particular one and smaller stops, there may be no covers built by the council so on raining days, some people will change to catching the train instead or call an uber. At bigger stops in the city, there will be covers build with some chairs for people to wait for buses to arrive. The bus timetable is on the pole where the schedule for weekdays and weekends will vary. You are no longer able to buy bus tickets on the bus so you need to purchase an "Opal Card" to tap on and off." 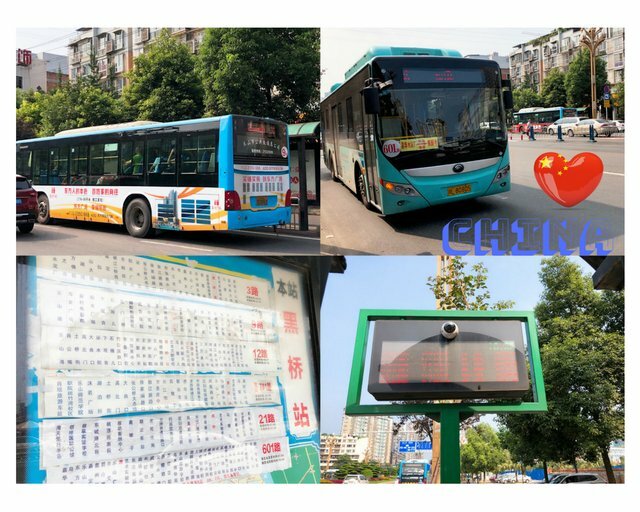 And from @mrspointm from China, "buses with different numbers can be seen everywhere in my city. Its fare is really cheap, starting at RMB1 (USD 0.15). During the rush hour, taking a bus is a wise choice, for there is a specific route offered. As can be seen from the photo, the LED panel shows when the next bus will come." 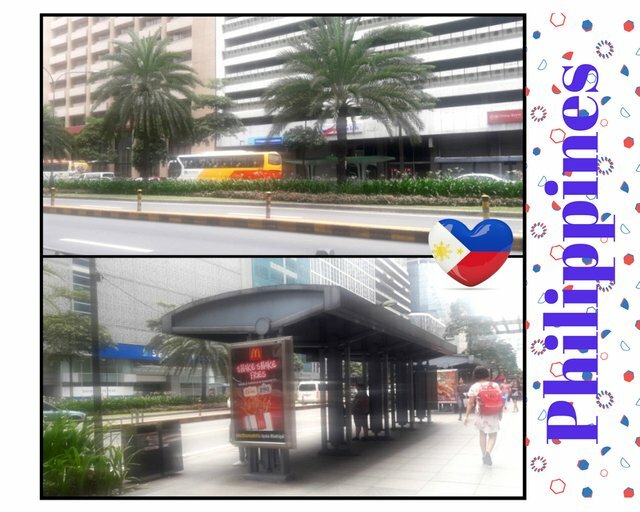 This is a bus stop in Makati Central Business District Philippines from @wanderlass. "This isn't restricted to buses, and other modes of land transportarion such as the Philippine jeepney, commuter van and taxis can stop at these areas. The traffic is really bad on weekdays on this city so there's a specific bus stop for loading and unloading passengers. Check out the sign at the top part of the shed to know where you should wait for a bus." 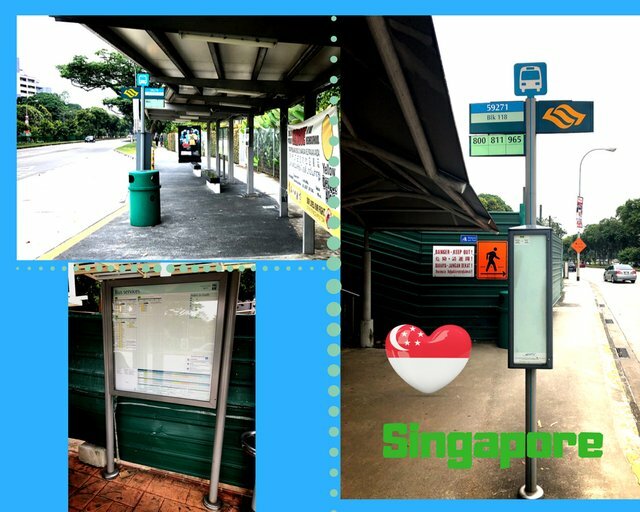 According to @jrvacation, the public bus stops in Singapore are relatively standardized with the same look and features.They are fully sheltered with stone waiting seats, a bus stop pole featuring the various buses servicing this route, a display board and signature green litter bin. The display board will list the full service route of each bus. Some bus stops downtown or in central business district areas have electronic board that will display the estimated arrival time of each bus and bus type- whether it is a double deck bus, bendy long bus or wheelchair friendly bus. If the bus stop you are using does not have electronic board, you can always download the “SG BusLeh” app on smart phones, which gives quite accurate estimated time of arrival for all public bus services in Singapore. Crowded bus stops such as those outside train stations are more interesting with advertisements. 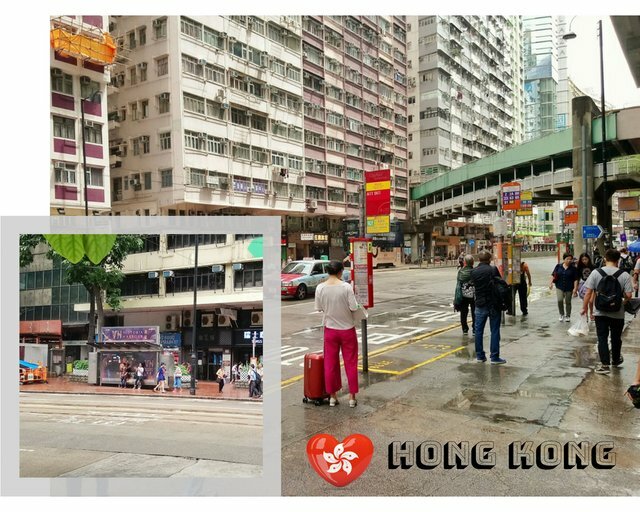 Especially for those that service bus routes within residential areas, they have additional board where people can advertise for room rental, sale of second hand item or private services such as swimming classes, driving classes, tuitions etc. Let's look at what @elizacheng has to say about the bus stops in Malaysia. 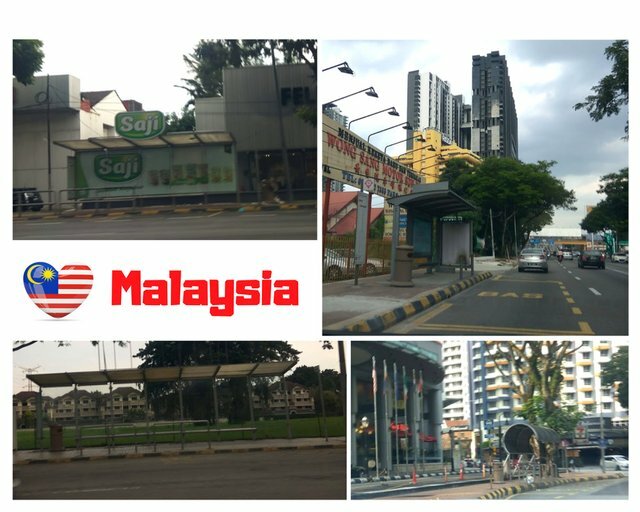 "These are some bus stops along Jalan Ampang which is on my way home from office. Our bus stops look quite similar to our neighbour in Singapore. As you can see the similarity from @jrvacation's photos. Prasarana is the largest public transportation provider. They own Malaysia's two LRT network (Kelana Jaya Line & Ampang/Sri Petaling Line), the KL Monorail, Sunway-BRT and bus services in Kuala Lumpur, Penang, Kuantan and Kamunting. The bus service is called RapidKL which mainly provides the public buses in Klang Valley. There are concession cards for students, senior citizen and OKU (handicapped) which they can enjoy 50% savings on cash rates on buses, LRT, Monorail and BRT." And finally, from @kawaiipower in Japan. "Bus stop in country area looks like this. Just simple sign with time table, so people can check on when it's arrives! They are usually on time. I had terrible experience of waiting for bus when I was in the USA. They never came on time or sometimes they did not come! Oops, enough about my experience in the USA. 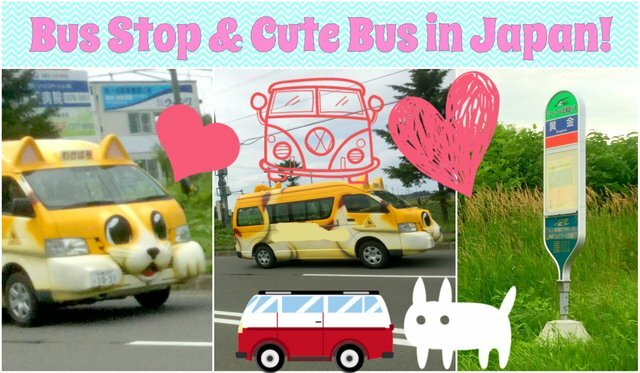 In Japan we have cute school bus for kindergarten and pre-school. We have Train Thomas bus too! The one I saw today was kitty cat one, so I took pics for you to share :smiley:"
Isn't it surprising that you can get so many stories out of a simple bus stop? It seems like nowadays, bus stops are getting rather high tech and in many countries you can get live up to date information on the bus arrival times. In Singapore, they even function as more than just a bus stop, it's become a community notice board. And in fact if you think of it, bus stops are a great way to build a community especially if you're sitting at the benches waiting for the delayed bus, you might hit up a conversation with other passengers. Till next week, good bye and have a great weekend.